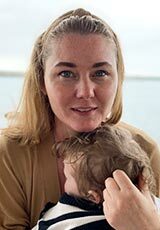 Dr. Erin Morton is a white settler scholar who lives and works on the unceded and unconquered land of the Wolastoqiyik, the people of the beautiful river. She was born and grew up in Mi’kma’ki, on unceded and unconquered Mi’kmaq territory. Morton is Full Professor of Visual Culture in the Department of History at the University of New Brunswick. She earned her Ph.D. and M.A. 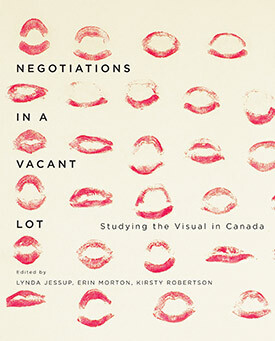 in Visual and Material Culture Studies at Queen’s University at Kingston. Morton’s research and writing is on visual and material culture, settler colonialism, and critical assessments of whiteness. Her work explores how art intersects with colonialism to affect perceptions of social belonging, such as notions of home and place. Her research helps to contest and articulate such oppositional understandings of culture as purposeful practice and unthoughtful habit. 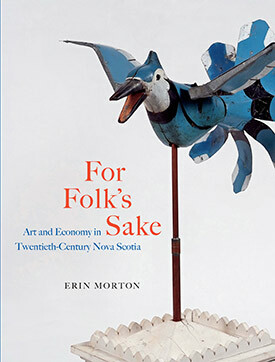 Morton is the author and co-editor of two recent books, For Folk’s Sake: Art and Economy in Twentieth-Century Nova Scotia (McGill-Queen’s University Press, 2016) and Negotiations in a Vacant Lot: Studying the Visual in Canada (co-edited with Lynda Jessup and Kirsty Robertson, McGill-Queen’s University Press, 2014). Her most recent journal articles will be published in the next issues of Cultural Studies and Settler Colonial Studies (co-authored with Travis Wysote). Morton is currently Principal Investigator of a SSHRC Insight Grant entitled “Unsettling the Settler Artist: Reframing the Canadian Visual Arts, 1867 to the present.” This project will produce an edited book, which is under advance contract with McGill-Queen’s University Press, entitled Pioneer Lies and Propertied Lives: Cultures of Colonial Unknowing on Turtle Island. Morton supervises MA and PhD students and postdoctoral researchers working in the fields of twentieth- and twenty-first century cultural history and visual and material culture studies in North America. She is currently working with Dr. Sara Spike, a SSHRC-funded postdoctoral researcher who is writing a cultural history of fog in Atlantic Canada. She tweets infrequently and unremarkably @ErinDMorton.